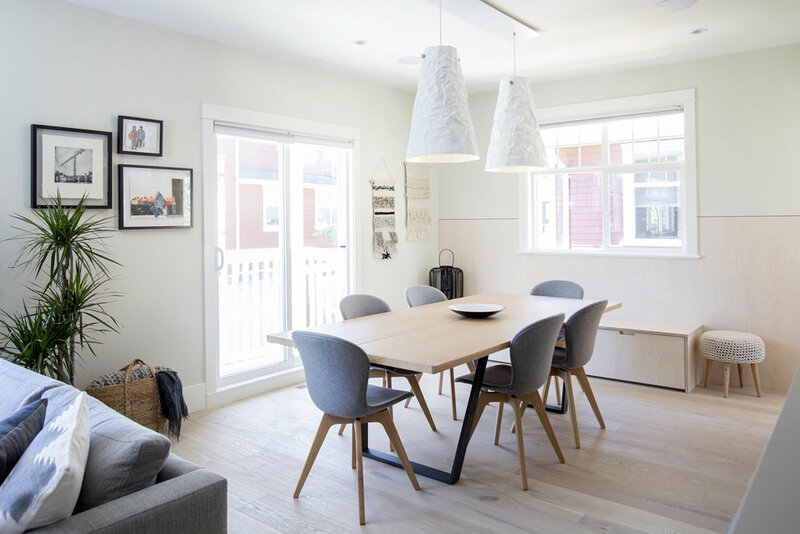 For this beautiful redesign of a Steveston townhouse by Mango Design Co, we were asked to provide two white Ono lights for above the dining table, a Homespun for the kitchen and an Adanac light to hang above the kitchen island. We worked with our friends at Mango to customize the Adanac, finishing the ash hardwood with a delicate white stain and adding custom rose-gold hardware. 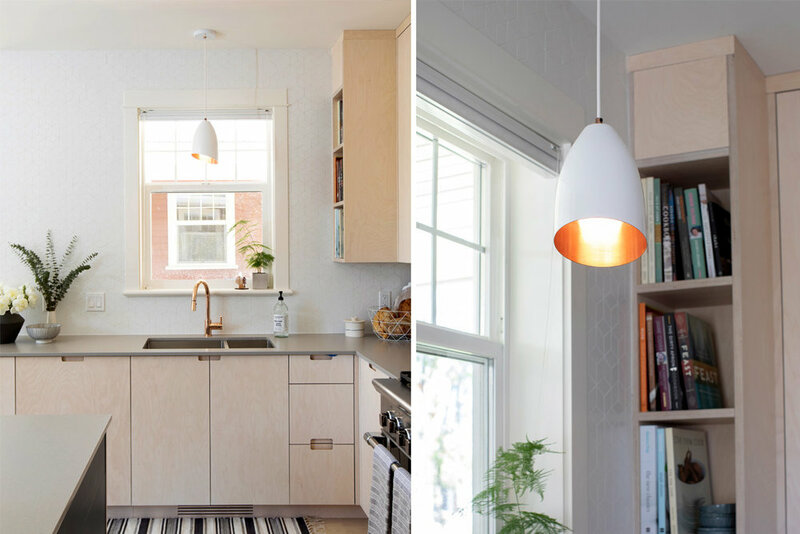 We had the Homespun 6.5 light turned from copper and finished with a custom white exterior.